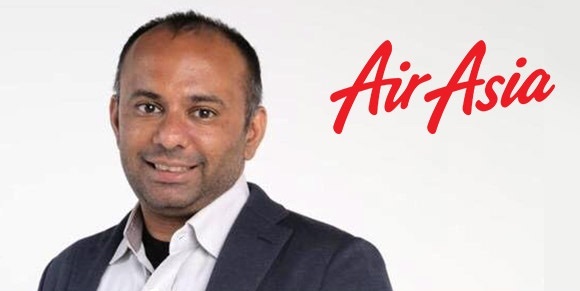 AirAsia’s Chief Data & Digital Officer, Nikunj Shanti, who is driving the LCC’s commercial product strategy, will join airline ancillary leaders from all over the world at Future Travel Experience Ancillary in Dublin this June. In late 2016, AirAsia Group CEO Tony Fernandes revealed plans to turn AirAsia into a fully-fledged “digital airline”. He said: “We are investing heavily in digitalisation and have been growing our family of digital services: BIG Duty Free, BIG Pay, BIG Loyalty, Touristly, roKKi onboard Wi-Fi and Xcite in-flight entertainment to name a few.” Fernandes stated that digitalisation is expected to boost AirAsia’s ancillary revenue income by over 20%. Nikunj Shanti will share the details of how this will be achieved at FTE Ancillary. Nikunj, who has previously worked for the likes of Emirates, tigerair, Expedia, IBM and Accenture, joins the likes of Ryanair CEO Michael O’Leary, Emirates Chief Digital & Innovation Officer Christoph Mueller, Aer Lingus CEO Stephen Kavanagh and Airbnb Head of Customer Experience Aisling Hassell on the list of confirmed speakers.